InterFood Krasnodar is a key business event for leading Russian and international food producers to showcase their products at the South of Russia. InterFood Krasnodar is the part of the ITE Group in Russia industrial portfolio of business events uniting food and drinks exhibitions organised by the ITE in the Russian largest cities. InterFood Krasnodar is an effective tool for product promotion at the market of the South of Russia. InterFood exhibitors get an opportunity to attract new customers, increase sales by demonstrating their products and services to exhibition visitors. The events attract over 3 500 visitors from all over the South of Russia, who present retail and wholesale trading companies, producers of food and beverages, hotels and restaurants. The list of numerous conferences, master-classes and contests includes tasting competitions for milk and meat industries, for wine and brandy, carving championship , barmen championship, master-classes by well-known chefs and cookery experts, round-tables with retail trade. 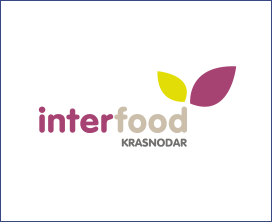 InterFood Krasnodar is an effective tool for product promotion at the market of the South of Russia. InterFood exhibitors get an opportunity to attract new customers, increase sales by demonstrating their products and services to exhibition visitors - representatives of wholesale and retail trade enterprises and foodstuffs producers of the South of Russia.